This bike is an order of magnitude badder than The Beast. 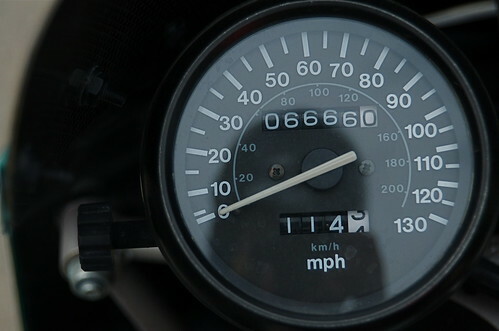 At least my odometer rolling to 6666 thinks that is the case. Some years ago I had a hankering for a particular sort of motorcycle. I was enamored of the cafe bike style but did not want an antique. I loved Honda's GB500 but hated the price. I mentioned it to Bill W. at Motorcycle Performance and he suggested I peek at their 500 cc single-cylinder road racer. I did, and was smitten. He suggested that I could have a similar bike built for the paltry sum of $5k. I hemmed and hawed and cleared it with Reena (mind you, I was not getting rid of any bikes, just adding another) then gave him the go ahead to start. Build time was about 5 months. It is badged as a "Rogue". What I ended up with was a really good back road scratcher with a very unique style. 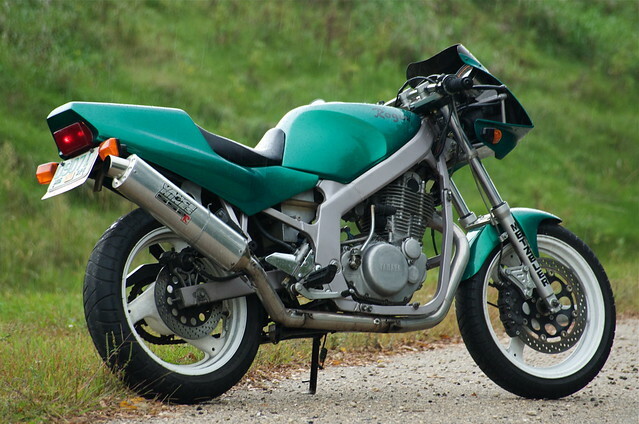 The chassis is (mostly) a 1990 Suzuki GS500. The engine is a worked 1979 Yamaha SR500 (making 52 42 RWHP versus a stock motor's 29), which also means it is kick-start only. These days that is probably the best anti-theft device around! The bike has had its problems - mostly due to vibration from a solid-mounted big single - but it seems to be mostly sorted out this year and has been pretty reliable as a toy. It needs a new weld on the exhaust bracket (safety wire is doing the job now) and a new rear tire come spring. What a beauty, eh? 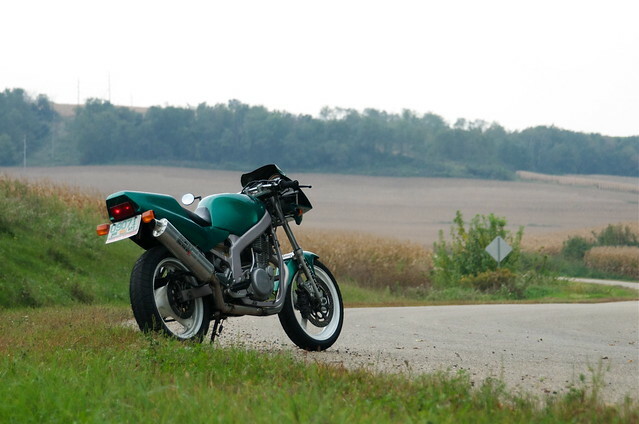 This is my idea of what a cafe racer would look like if people were not still focused on old school examples. Well, at this point I have to say it is my vision of what a mid-90's cafe racer would look like. - forks and inner workings came from some GSX-R model and was in fact the original front end from the very road racer I looked at as an example. - House of Kolor "Sherwood Forest Green" paint. 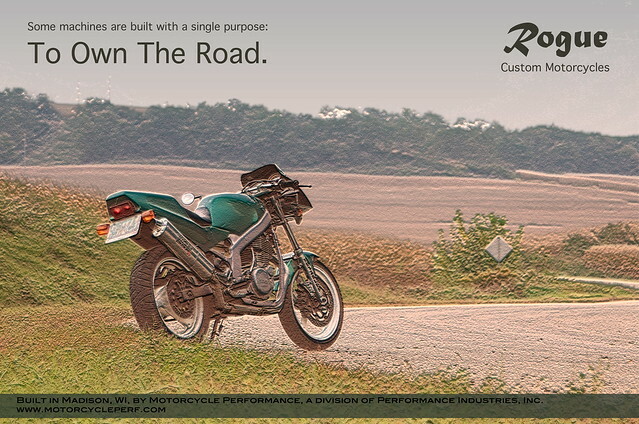 I made this faux advertisement out of the above road shot. What do you think?